Yesterday on QUILTsocial I showed you 4 ideal ways to use Northcott’s new fabric line – Wild and Free. This lovely fabric line features a beautiful panel and lots of great coordinating fabrics. 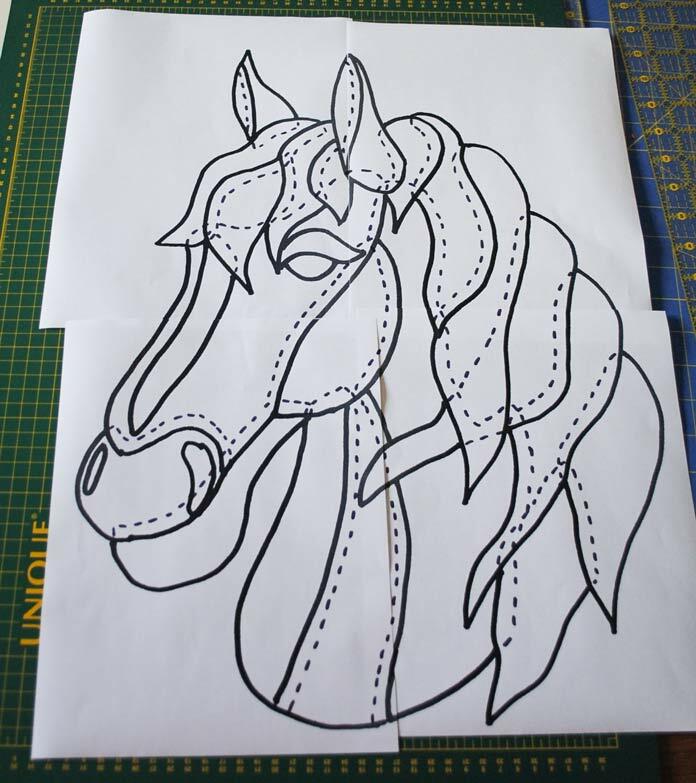 For this week’s project I decided to use these fabrics to make an appliqued horse wallhanging, called Equestrian Beauty Wallhanging. 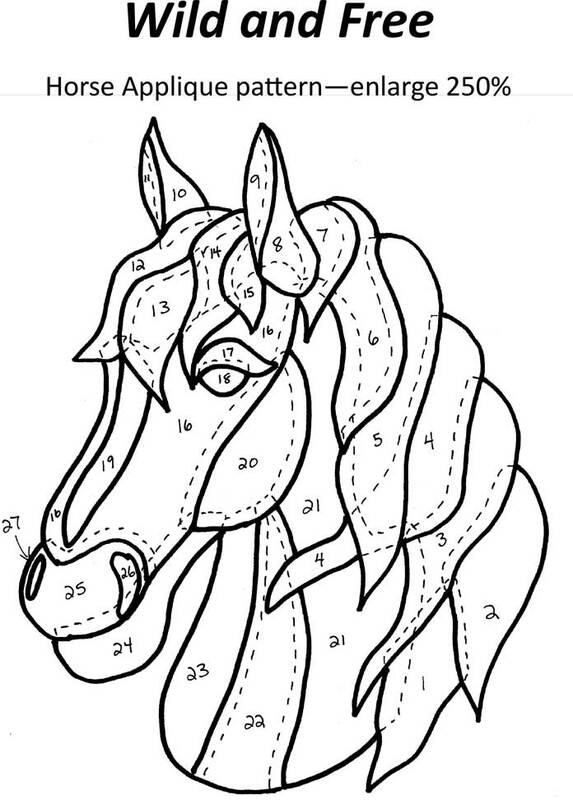 The first thing I need to do is find a picture of a horse head that I can adapt into a fusible applique pattern. 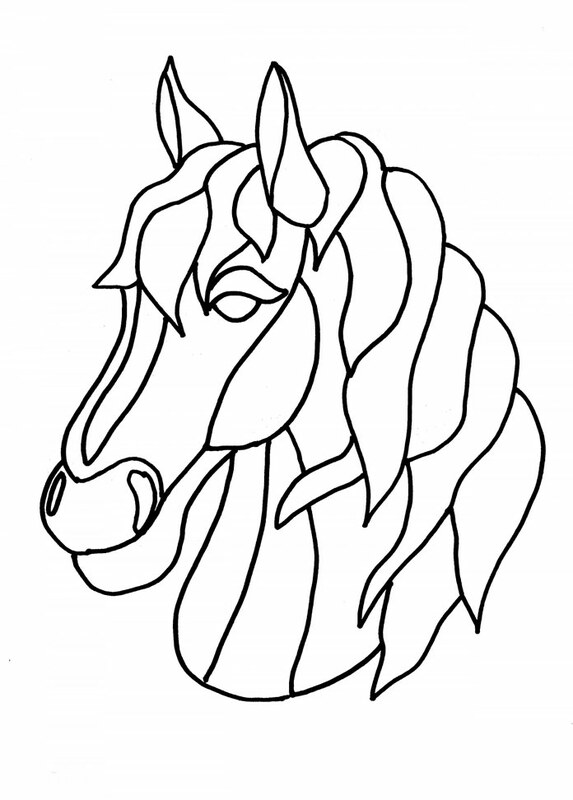 If you google “horse head coloring book page” you’ll find a multitude of websites that offer free coloring book images that you can download and print for free. 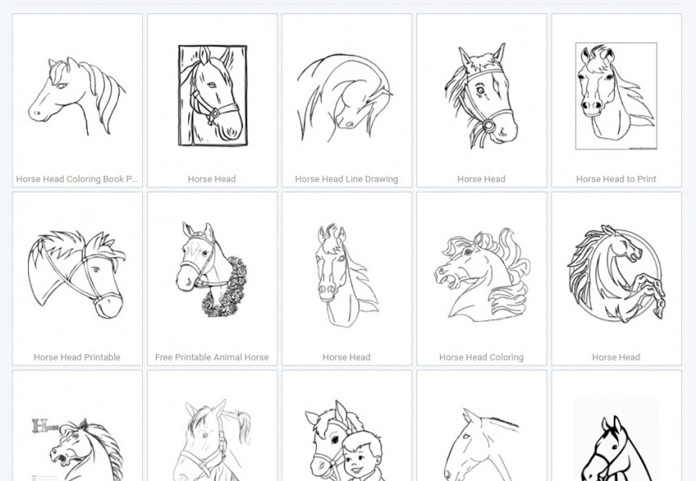 This screenshot is from www.getcoloringpages.com and as you can see there are MANY different images available! Of course, you can always go “old-school” and use a real kids coloring book for inspiration! Two more great places to look for inspiration for applique designs are sites that have free stained glass patterns such as www.delphiglass.com or free intarsia (woodworking) patterns such as www.intarsia.com. These images are usually fairly simple and can be easily adapted to an applique design. After much searching, I found an image that I liked and I adapted it a bit to make a nice line drawing. In order for the fusible applique to stay together, there needs to be some overlap between adjacent sections of fabric. Looking at your picture, you need to decide which sections of the drawing are towards the back and which ones are at the front. Once you’ve figured this out, you extend the shape of the farthest back pieces so that they will extend under the piece beside it (which is closer to the front). Use a dotted line to indicate where the one fabric overlaps the next. Go over your entire drawing to make sure that each section is either at the front of the image OR extends under the edge of the section beside it. If you have a complicated diagram with lots of parts the easiest way to keep everything straight it to number each section. 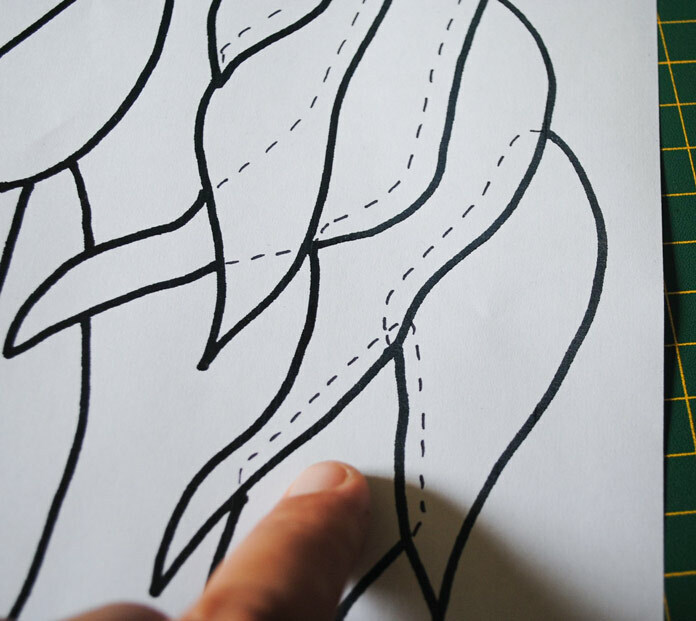 This way, as you trace the sections onto your fusible web you number the traced images with the corresponding number. These numbers will come in VERY hand on Thursday when we iron all of the parts together. 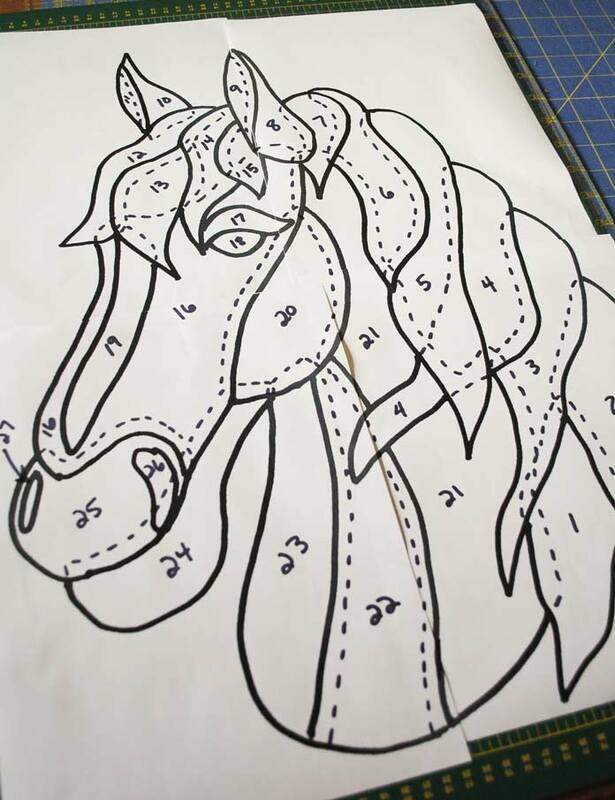 Here is my numbered applique diagram. If you’d like to make your own wallhanging, print the page off and enlarge it by 250%. The diagram will print onto 4 sheets of paper, which you can tape together to get the entire image. Tomorrow I’ll show you how to trace all of the applique shapes and get everything cut out and ready to assemble. 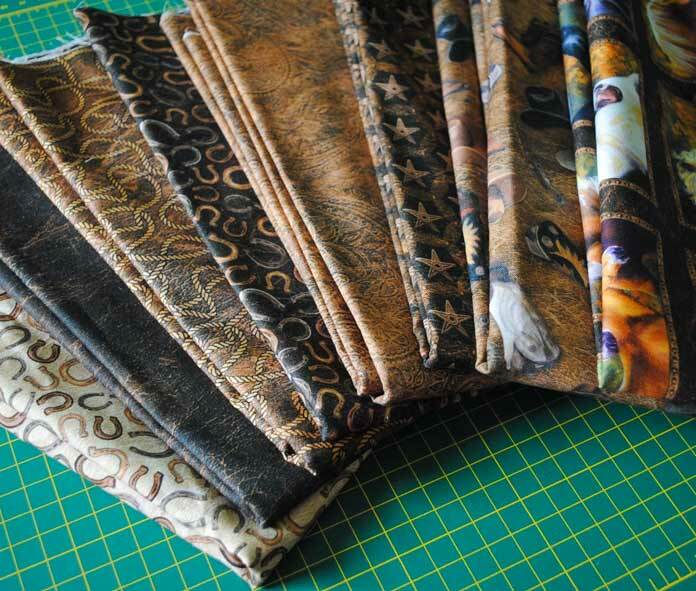 The Wild and Free fabrics from Northcott are going to look amazing with this design! Thanks for the pattern and lesson on making your own applique patterns. My friend loves horses and works with them as a therapist. I would like to try this pattern. Thanks Julie! Have fun with it! OMG! This type of animal applique is exactly what I’ve been wanting to learn how to do. This is perfect. Thank you. this technique is very impressive. It will take me a few years to even think about doing it. I am a beginner in the quilting domain . Very nice and beautiful. Your horse is going to be beautiful! Thanks Wanda! I had so much fun with this project! Wow – this article is awesome! There is a vast amount of applique patterns on the internet that I hadn’t even thought about. Thank you. Thanks Delaine 🙂 I’m glad you found the info useful. So glad I found this tutorial! I want to make a wall hanging for someone who loves Giraffe’s and can’t find what I want. Thank you for the idea of doing my own drawing. Awesome Nancy! I bet you can find exactly what you need to make an awesome giraffe quilt! Thanks Lori! This was a fun project to share. My grandmother used to use coloring book pages for applique and the liquid paint quilt blocks. Thanks for reminding me about this! Hi Sandy – I think my grandma did the same!